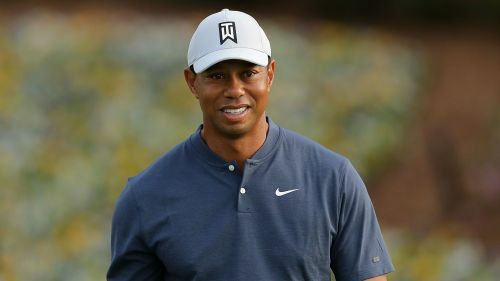 Tiger Woods feels he is on course to make an impact at the Masters next month after allaying concerns over a neck injury that kept him out of the Arnold Palmer Invitational. The 14-time major champion decided to skip the tournament at Bay Hill last week as a precautionary measure, but declared he is now pain free ahead of competing at Sawgrass in The Players Championship this week. Despite sitting out an event on his schedule, Woods still feels he will have had ample competitive preparation for the first major of the year. "I've played three tournaments so far this year and that's about right. If I would have gotten my rounds last week it would have been four tournaments," Woods said. "I'm right there with where I need to be, my finishes are getting a little better each and every time I've gone out this year. "I've gotten a little more consistent with my play and I think everything is headed on track towards April." Woods will decide after playing this week whether to take his place in the field at the World Golf Championships-Dell Technologies Match Play, which takes place from March 27-31 in Austin, Texas. He added: "I have to manage it as best as I can and not push it. There are times when over the years I've pushed it, I've won a few tournaments doing that but I've also cost myself a few years doing that."